Our defensive driving online courses and products are convenient, fun, and affordable. These courses will take you about 4 hours to complete and you can log on and off as often as you wish. Not only are they user friendly, but they incorporate state of the art technology that makes the programs both interesting and interactive. Fast and Simple Defensive Driving Online Courses let you log on and off at your convenience. This course is designed for current Florida driver's license holders who have received a traffic ticket in the state of Florida or a court order to take a basic driver improvement course. This 4-hour online course satisfies these requirements. If you have received a speeding ticket and want to ensure that it doesn't negatively impact your record in any way, then you've come to the right place! This online course has been designed for individuals who have either 1. been referred by a court or ordered by a Florida Judge to complete an 8-Hour Driver Improvement class, or 2. received two or more speeding tickets in a 12-month time period. If either of these situations applies to you, then this course meets your needs. The 12-hour Advanced Driver Improvement course is intended for individuals who have had their driver's license suspended by the State of Florida, either due to excessive accumulation of driving points or because they have been deemed to be a habitual traffic offender (non-DUI related). If you have had your driver's license suspended or revoked by court order, then this State-Approved course satisfies your needs and can help you regain your driving privileges. 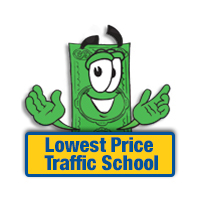 At LowestPriceTrafficSchool.com, our Online Defensive Driving / Traffic School courses are approved in ALL 67 Florida counties by the Florida Department of Highway Safety & Motor Vehicles (DHSMV). These industry-leading training courses can help ensure you pass your written DMV exam your FIRST TIME, guaranteed. If you are in the process of obtaining your learner's permit or driver's license, let us help. 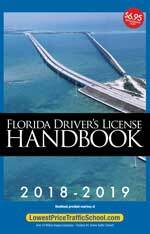 Our Florida Traffic School Directory can be found below - learn more about defensive driving courses and how best to deal with traffic tickets in your particular city.